Valentine’s Day is just around the corner, and this recipe is perfect for winning over the hearts (and stomachs) of your loved ones. Or just treat yourself to a special home made meal. You deserve it! 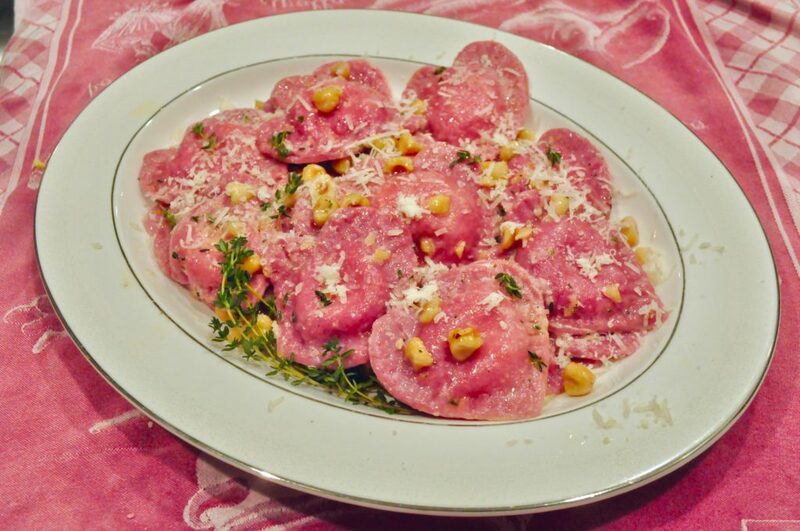 The ravioli dough is made with beets, although it hardly retains any of the beet flavor. But it does look rather festive, and was a good way for me to salvage some of the beets I had dreadfully overcooked this past weekend. You see, I planned to make pickled beets and I placed the beets to cook atop the stove in a pot of water. I like to undercook beets since they get cooked a bit more in the pickling process, and I prefer some “bite” to the finished product. But I left the house to see the HD performance of “Carmen” live from the Met, and forgot about the pot simmering on the stove. I didn’t realize it until nearly three hours later, well after Carmen entices Don Jose with her guiles, but before he gets his revenge on the alluring gypsy. You know it’s verboten to phone or text in the theater during a performance, but I covered by head and torso with my jacket and texted my husband to ask him to immediately drain the water from the beets. Thank goodness for husbands who are loyal to their alma mater and stay home to watch the basketball game on TV. Go Pirates! I know it could have been avoided had I roasted the beets, but I always have trouble peeling beets when I roast them. Besides, I might have forgotten them in the oven and come home to dehydrated, or worse, burnt spheres of my favorite root vegetable. 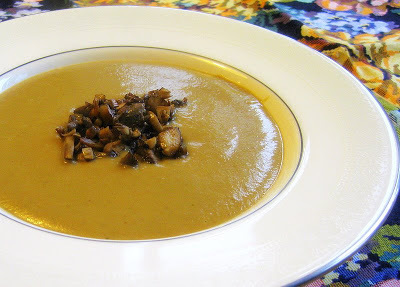 So anyway, here I was with lots of mushy beets to use up. I’ve always wanted to try making pasta with beets so this gave me the perfect excuse. Let’s get started. 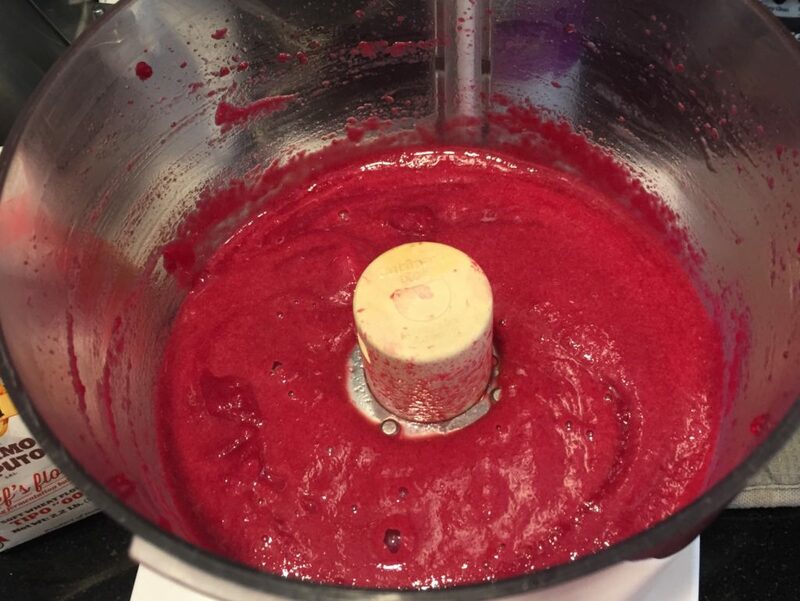 Whiz the beets in a food processor until smooth. Add the eggs, flour and other ingredients. I used 00 flour, the kind that Italians traditionally use for making pasta. If you don’t have it, use regular flour, or add some semolina flour to regular flour. However, it’s easy enough to find 00 flour online, if you don’t have an Italian grocery store, or specialty food shop near you. The dough is stickier than normal pasta dough – possibly because of those darn overcooked and water-logged beets of mine. So I had to knead in a little more flour on the wooden board. Cover it with plastic wrap and let it rest for at least an hour. I placed the dough through the pasta machine, spreading a little more flour over the dough each time I passed it through a different thickness. 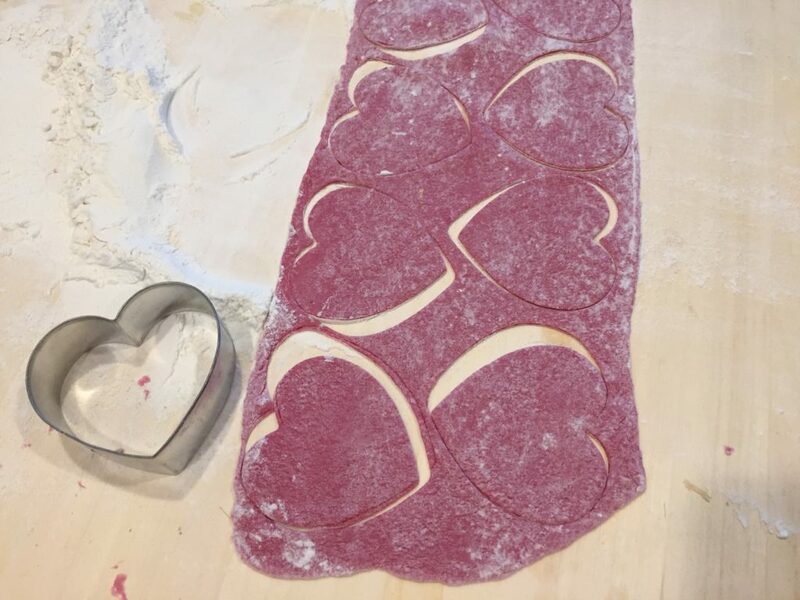 Using a heart-shaped cookie cutter, cut out the heart shapes. Place a tablespoon of filling over each heart and then using your finger, or a small paint brush, brush a little water around the perimeter of each one. By the way, the goat cheese adds a nice tang to the ricotta and the lemon zest brings a nice “brightness” to it. Don’t skimp on the fresh thyme or the grating of nutmeg either. It’s a delicious combination of flavors. Cover with a second piece of the pasta, and crimp the edges with a fork. This dough recipe makes enough for about four dozen ravioli, but frankly, I was getting hungry and wanted to get moving with dinner. So I stopped at about two dozen ravioli and made fettuccine with the rest of the dough. I had some leftover filling, but I’ll use it in a frittata. Boil the ravioli in abundant, salted water. These were ready in only three or four minutes. Meanwhile, melt the butter, and add the thyme and hazelnuts. 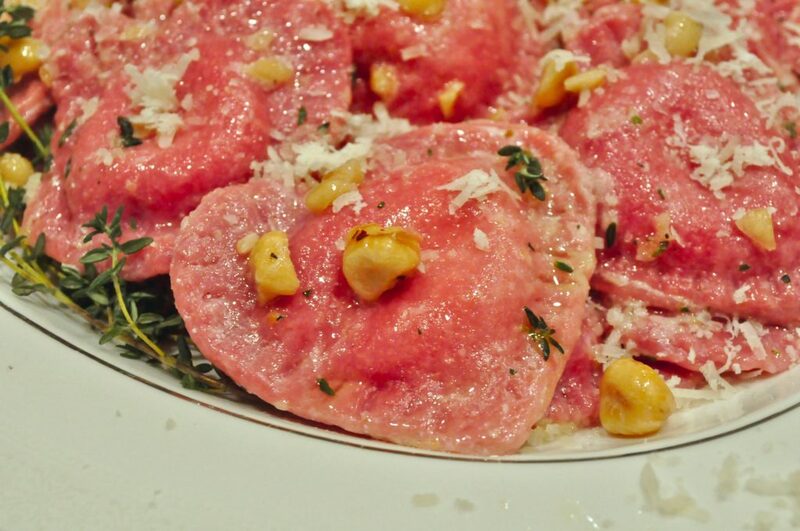 When the ravioli are cooked, transfer them with a slotted spoon or spider to the pan with the butter and hazelnuts. Don’t drain the pasta really well; It’s good if a little water comes along to add to the sauce. Carefully spoon the pasta into a heated dish and sprinkle some parmesan cheese over everything. Cook the beets, either by boiling or roasting. Once they are cool, remove the skin and puree the beets in a food processor until smooth. 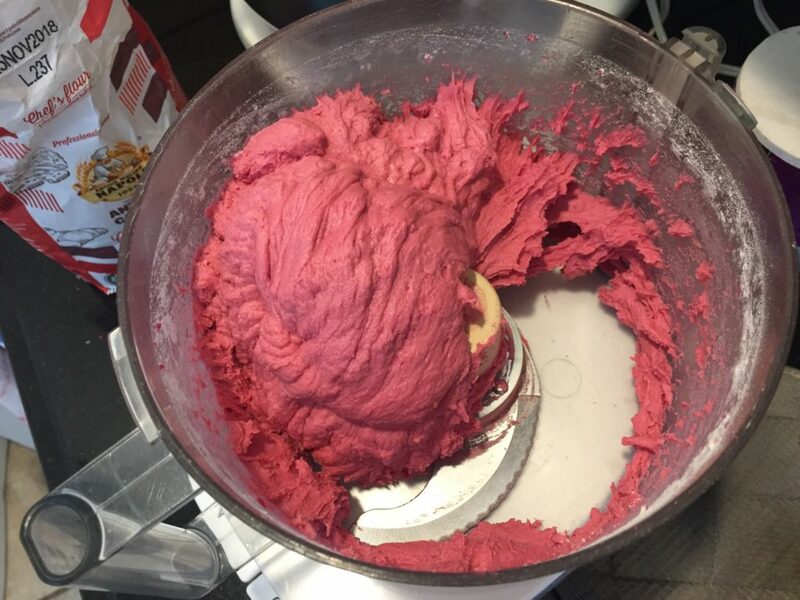 Add the salt, and eggs to the beet puree in the food processor, then start adding the flour a little at a time, until the dough starts to pull away from the sides of the food processor bowl. Remove it onto a well-floured board and knead until smooth and it loses its "stickiness." Wrap in plastic wrap and let it rest for at least an hour. Drain the ricotta overnight or at least an hour, to remove some of the water. 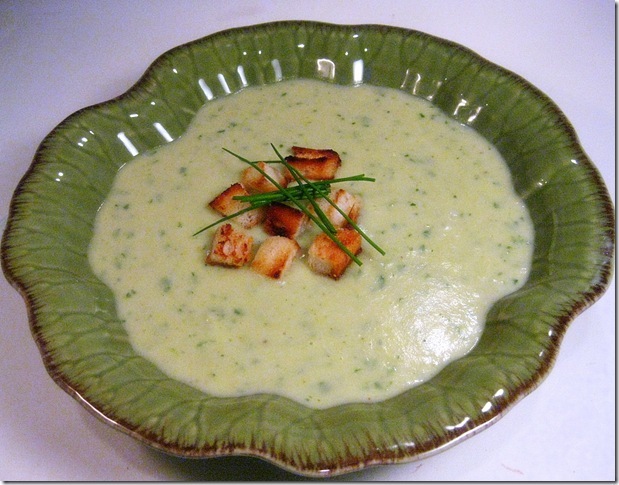 Place the cheeses and other ingredients in a food processor and mix. Cut the dough into four parts and work with one of the pieces, keeping the rest covered. Run the dough through the pasta machine, flattening and flouring each piece as you go along. Start with the widest setting , dusting the dough each time you feed it through a narrower setting. On my KitchenAid pasta machine, I stopped at the number four setting. 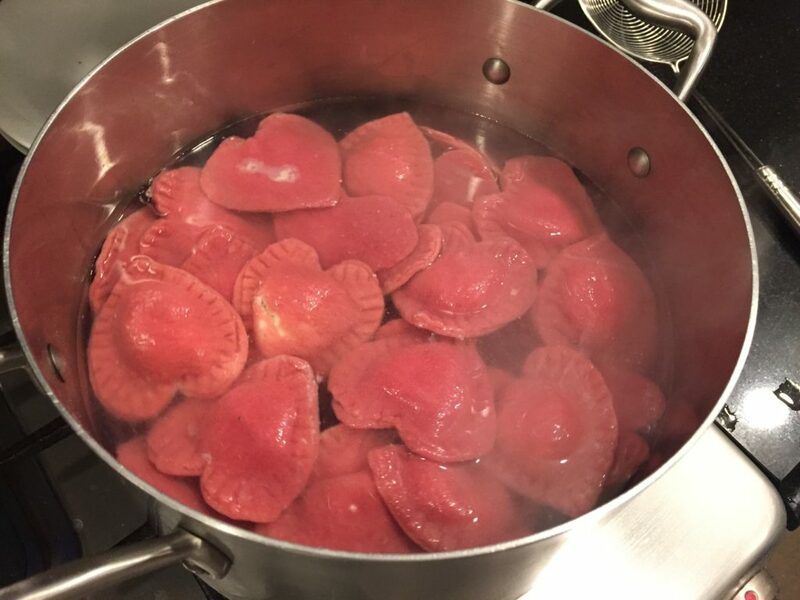 Using a heart-shaped cookie cutter, cut out heart shapes, then fill with a tablespoon of the cheese filling. Moisten the edges of the pasta, then place another heart shaped pasta piece on top of the filling. Crimp the edges with a fork. Drop into boiling, salted water and cook until the pasta is al dente. For me, this took only about three to four minutes. 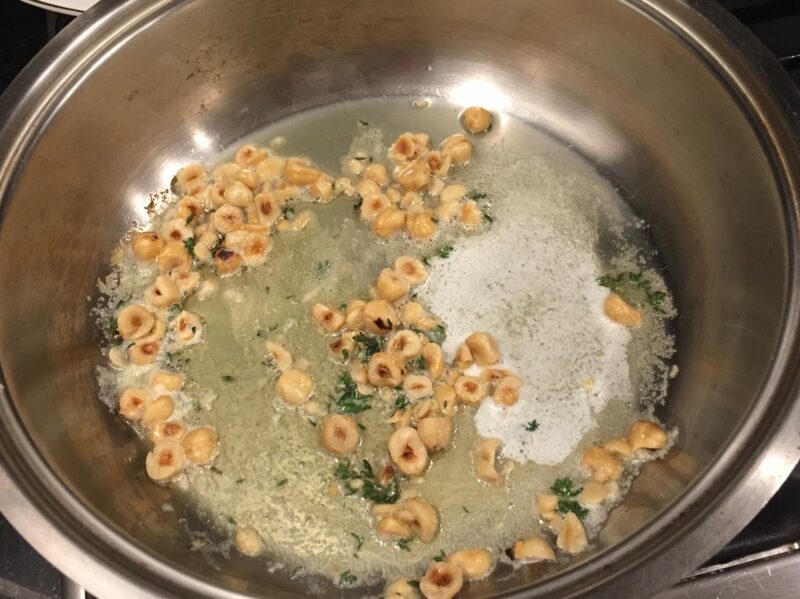 Meanwhile, melt the butter in another saucepan, add the thyme and the hazelnuts. When the pasta is cooked, using a slotted spoon or "spider" drop them into the pan with the butter and hazelnuts. Don't worry if the pasta is not totally drained. A little water is needed to help make the sauce. 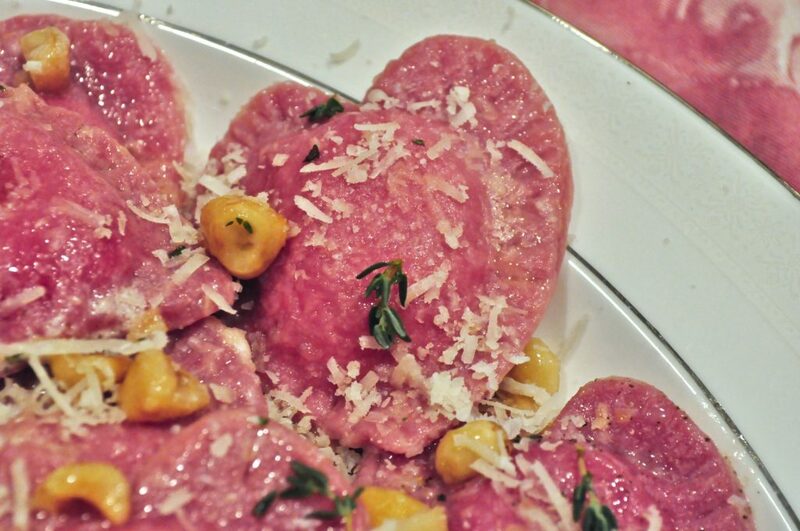 After all the ravioli are in the saucepan, gently toss them to disperse the butter, nuts and thyme. This was the perfect save Linda, and I have to admit I’d take this over pickled beets any day! Genius idea, Linda! They turned out beautifully! 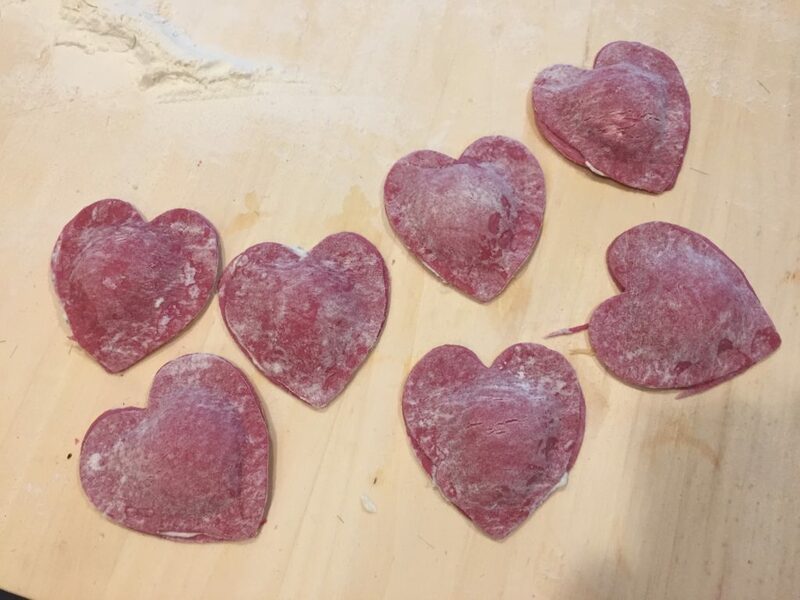 Your beet heart ravioli are so beautiful! What a romantic treat to make for Valentine’s Day! I also like both the different the filling and hazelnut sauce you made for them. 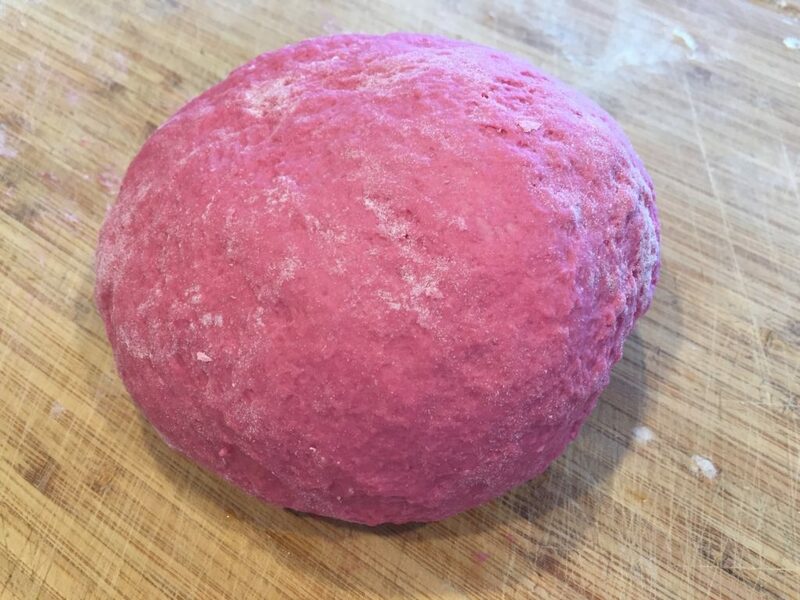 If I had overboiled beets I probably would have made borscht out of them–my maternal Grandmother was Ukrainian and made the best tasting borscht, but making beet dough was an excellent idea! Oh Pat – You’ve given me a good idea. Why didn’t I think of borscht before? 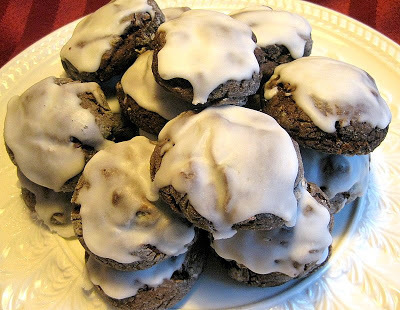 I still have some beets so may try it next. First of all, what a great story about leaving the pasta boiling! Great job Mr. Ciao Chow Linda, who came to the rescue! I probably would have even forgotten to call my husband . . . very absent-minded professor that I am in reality. 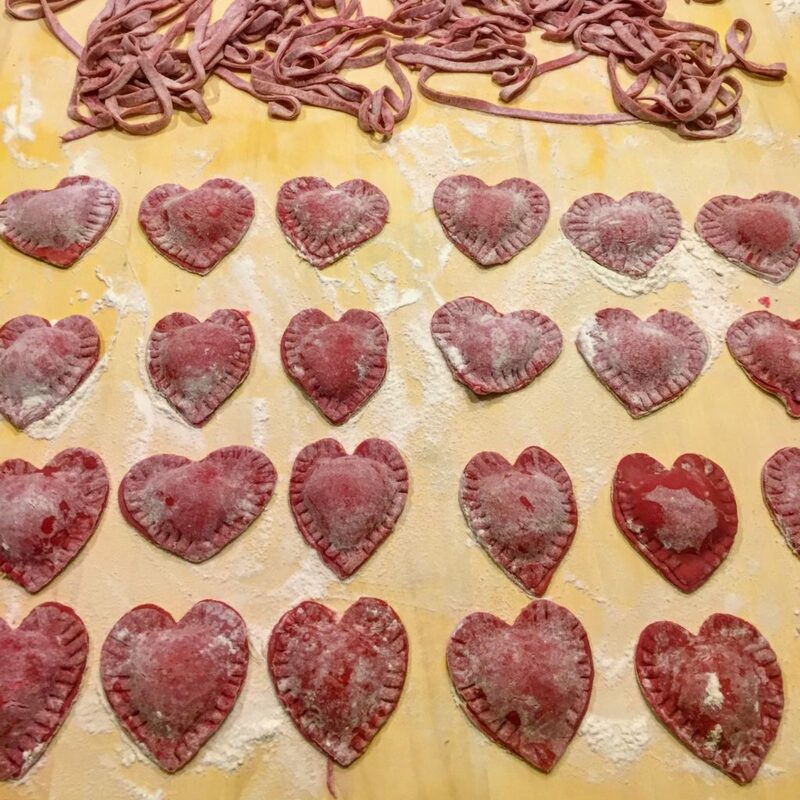 I love this recipe, not just because it has beets in the pasta, but the whole presentation on top with the heart shaped pasta! So perfect for Valentine’s Day, Linda! Linda, what a great idea. 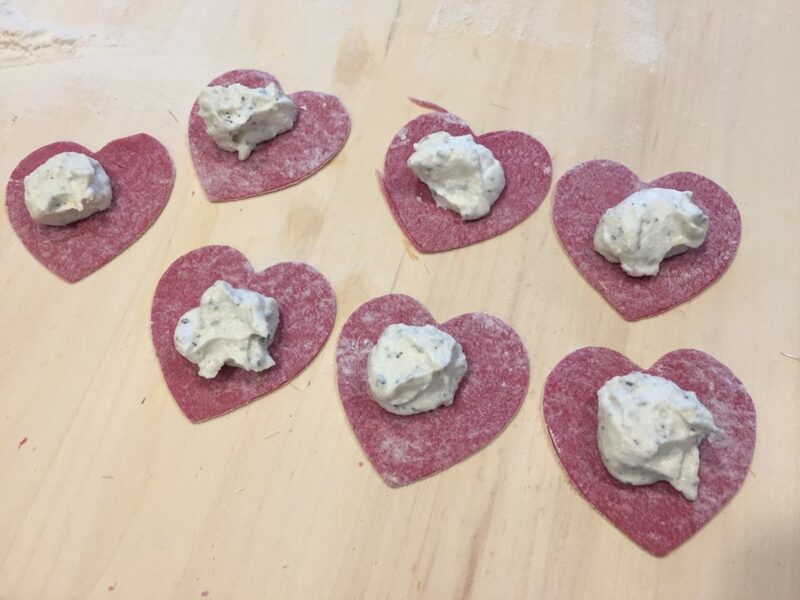 I’ve made beet pasta before but never heart-shaped ravioli. Perfect for that special dinner coming up this week. What a joy for you to have seen Carmen and a joy to have a great hubby who sacrifices going to the opera just in case he’s needed at home. previous post: Drum Roll For Timpano!